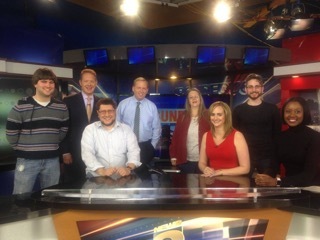 radio personality Scott “Fitz” Fitzgerald, radio personality Chris Konya, creators of The Rochestariat, Stefanie and Jason Schwingle, journalist Hélène Biandudi Hofer, journalist Jennifer Johnson, journalist Nikki Rudd journalist Norma Holland, journalist Alexis Arnold, journalist Ginny Ryan and meteorologist Scott Hetsko. Today Che adds Sajad Hoffman-Hussain of WHEC TV to the list. I grew up in an inner-city suburb of Birmingham in the United Kingdom. I went to a fairly normal school (most of us were low-income, and weren’t expected to make much of ourselves). The area was one frequented by drug dealers and gang violence. 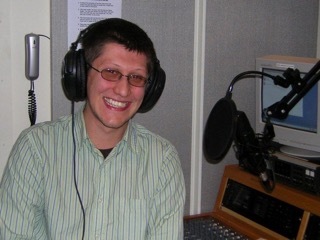 I ended up engineering myself an escape by going to college and completing my Bachelors in Psychology (the University of Hull) over 200 miles away, and then taking a graduate program in broadcast journalism a few years later. What inspired you to be a Producer? Early experiences worth sharing? I would reframe this question more as what inspired me to work in journalism. By nature, I am very curious and some would say nosey(!) so that was a good start. I have a butterfly mind, where I know a little about a little of everything, which is a good grounding for dealing with a diverse range of topics in news. Also good for quiz nights! Earlier on, when I worked as a reporter, I had to develop my confidence going out and asking members of the public their opinion. As I was responsible for reading the news as well as producing, it was important that I was fully confident in myself, as it shows in your voice otherwise. Being the first to get the story out and on air, or online, is a major draw of working in either a straight journalism or producing role. 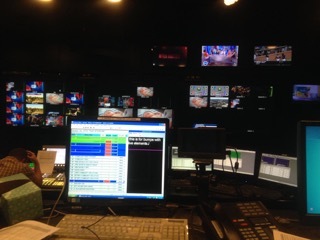 As a producer, I also have the need to micromanage processes, and constantly look at ways to make producing a newscast more efficient across many different team members, personalities, and skillets. It can be extremely stressful, but worth it when you’ve beaten the competition, and told stories that matter. 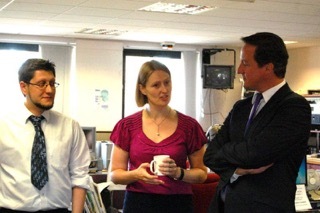 One of my proudest achievements was working at BBC Radio Cumbria when the then Prime Minister David Cameron visited. He is a lot taller off-screen, and had his security personnel with him. We had a brief chat and with the questions I prepared in advance, the morning presenter was able to grill him on topics like unemployment, nuclear energy, and the UK riots that had broken out a few weeks previously. I remember being at what you guys would call a High-school … at the time I badly wanted to get into a certain private school and win a scholarship to increase my chances of getting into a good college. I was told by a Careers ‘Advisor’ that because of my background, I should set my sights low and work in retail. And then I was told by the admissions office of that school that certain kinds (code for rich, white, and privileged) of people fared better in this school and that I should expect a rejection. I never let these micro aggressions keep me from having a success mindset, and indeed I kept on striving, even when I was temporarily homeless during my college studies, I put my head down and refused to give up. I achieved my Bachelors with Honors and the following year completed an intensive Masters course in Radio Journalism with merit. I also successfully carved out a freelance career at BBC News, despite the difficulties of it being a very traditional old-boys organization. What do you believe sets you apart from other Producers? I just don’t know when to quit – and I have the ability to learn from my mistakes, regroup, and then (hopefully) hit it out of the park. I am very much a family man, and we all love going to the library. In fact, I would say the thing that got me out of poverty in the first place was going regularly to the library in Birmingham, and expanding my mind that way. We also LOVE Highland Park, and exploring Rochester. I am trying to get a podcast project called Bus Tales into commission – I am looking at the untold stories of Bus Rider through different themes. I always have a number of different pies I am juggling! I would like to see myself still doing creative work, and making a difference to the people whose lives I tell through story. What advice can you give to aspiring producers? For producers, and for journalists, I would say – take the opportunity to learn and find people willing to mentor you. Be humble, but don’t be a doormat. Remember to treat people as you wish to be treated (it is indeed a very small world). Practice your writing, and take all the constructive feedback you can.